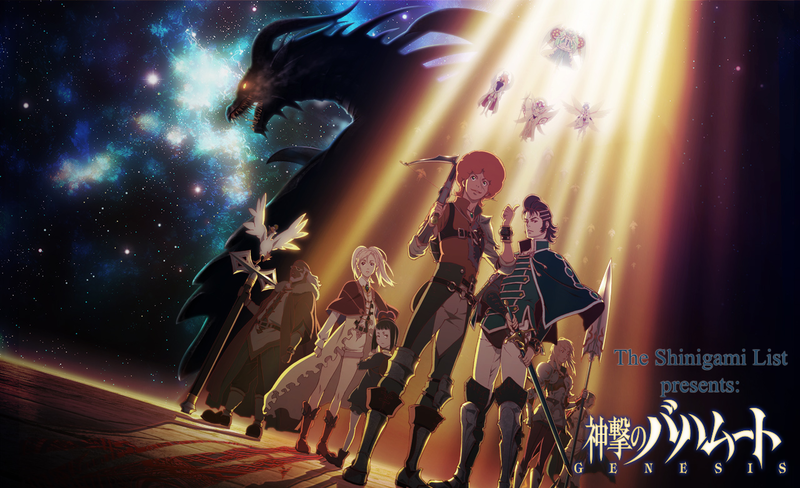 Shingeki no Bahamut: Genesis (神撃のバハムート GENESIS) is one of the most recent anime TV series. It premiered on 6th October 2014 and continued until just before the start of 2015. The story begins when we meet the charming young lady named Amira, just Amira. Killing seems nothing for her, but there are things that are important to her – reaching Helheim. The mystic place seems to be unknown to all, but a degenerate head-hunter named Favaro Leone. He’s not just after heads, however, but after daemon heads, and so is his enemy – Kaisar Lidfard, the last heir to the famous former knightly clan of Lidfard. 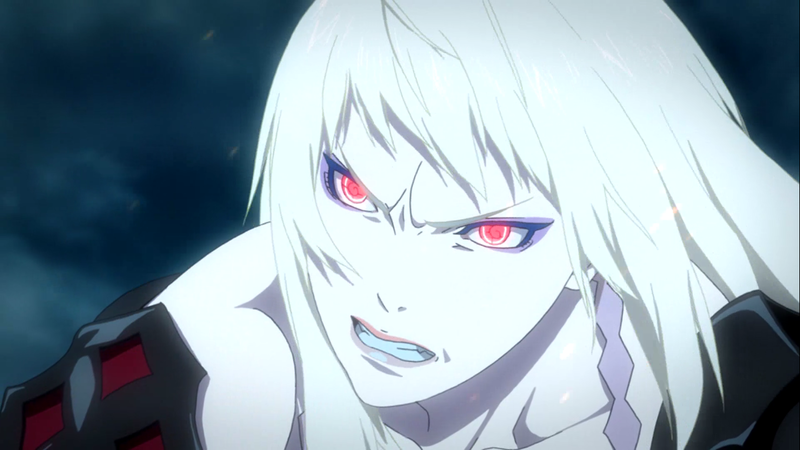 See what happened and if it worked, in this full Shingeki no Bahamut: Genesis anime review. Don’t forget to check out the gallery as well! Let me start with the worst part – the rushed story. Don’t take me wrong, the story is actually quite intriguing, especially for something coming out of a deck of cards. 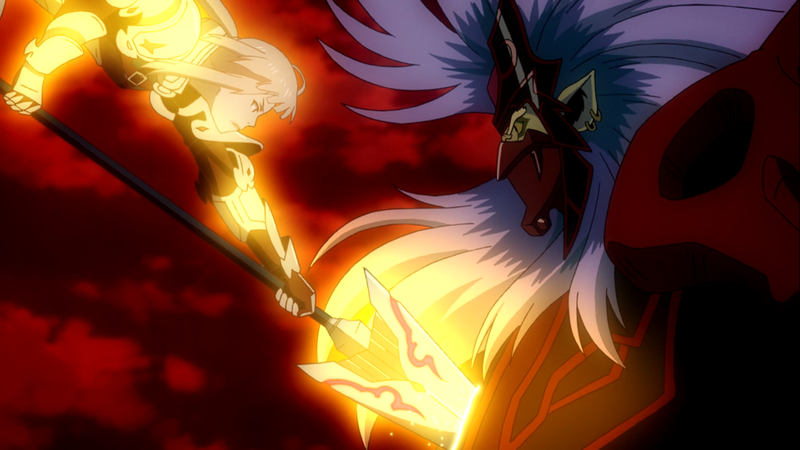 In fact, it’s probably the most interesting story that comes with an epic fantasy anime for a long time. As you see in the video above, the entire epicness is well-represented. I really enjoyed the story being how it is – a half-daemon, half-angel existence is born and she is at a mental age of 2-3 years. At the same time, she’s a grown woman. This causes a number of silly situations including feasts and irrational battles. 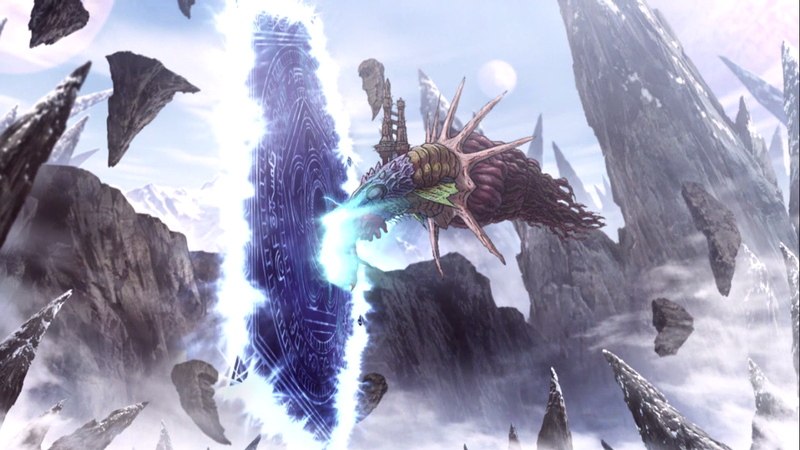 As a daemon, her form has one single wing, the second obviously missing. 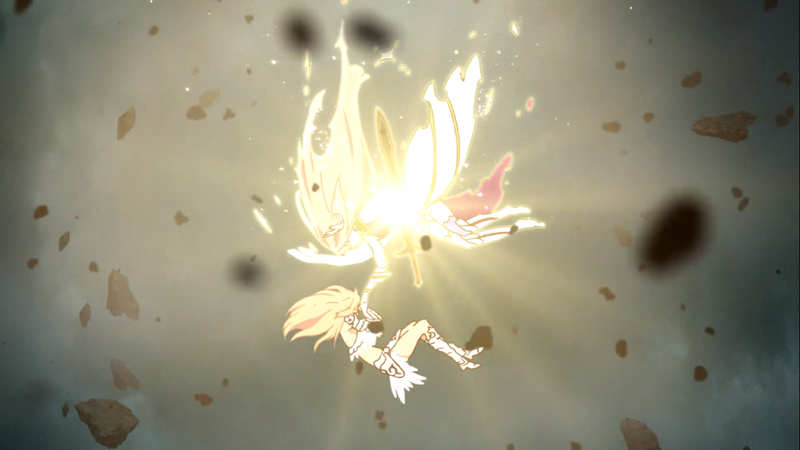 Somewhere in the middle of the show, we see that a brethren of hers, an angel had cut it off during a battle. She is on her way to Helheim to meet her birth mother, or so she believes. 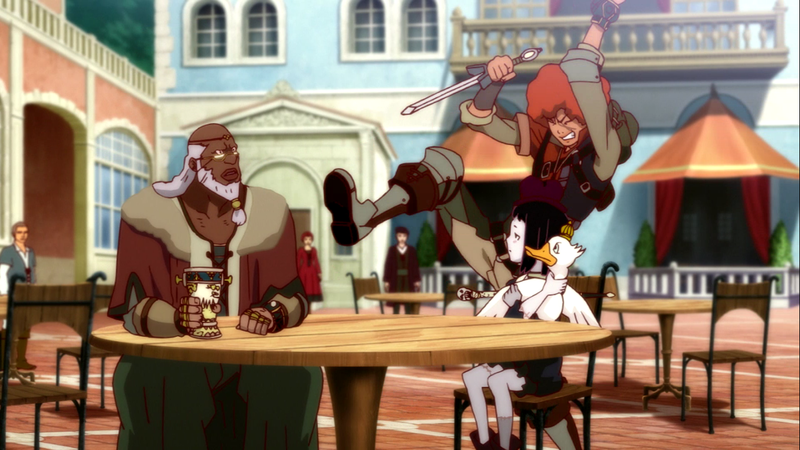 On her path, she meets what seems to be the only one who knows where the place is – Favaro. Problem is, he’s only doing it for all the wrong reasons and has no idea where Helheim is. In fact, he’s almost forcefully dragged onto the path by Amira’s turning him into a daemon in a mysterious way. 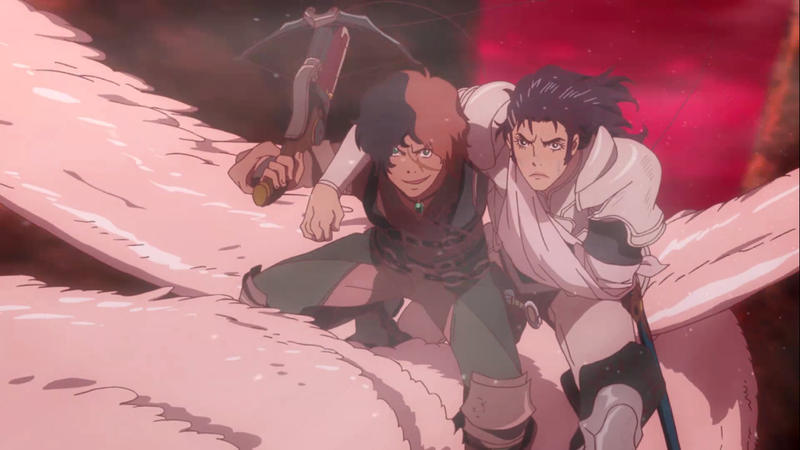 Among the way, they also stumble across another daemon-head hunter called Kaisar Lidfard, an old friend of Favaro. 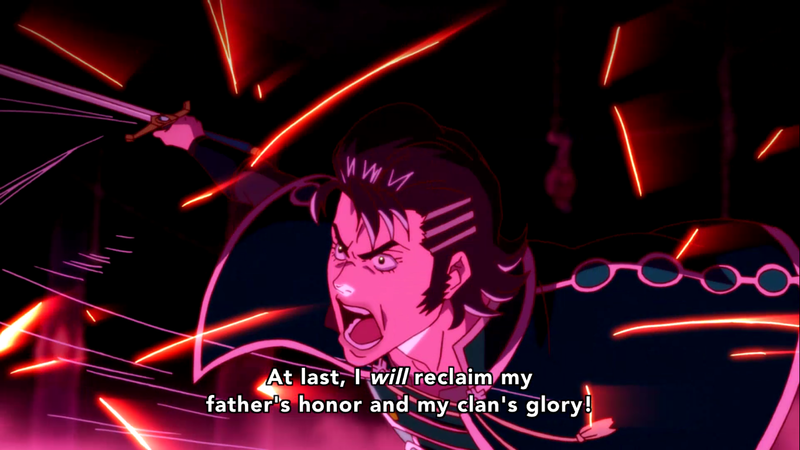 He is now looking to kill his childhood pal, believing him to be the one behind his father’s dishonourable discharge from the Knight Order and hanging, as well as his mother’s following suicide. 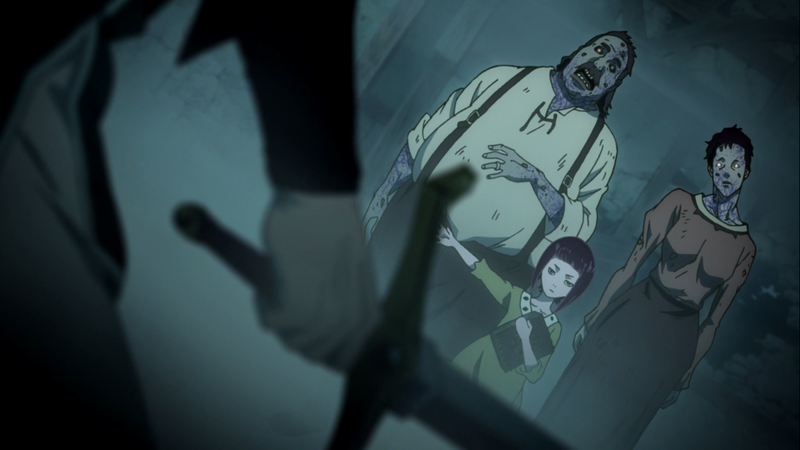 What many consider the third main character in the anime is Rita, a zombie girl with extensive knowledge in witchcraft. Well, I cannot say she is unnecessary to the plot at all, but she is at best a secondary character. Her appearance seems forced, as though there was a need for a smart character and her name just popped-out of the hat. I personally would add the fair warrior Jeanne d’Arc as an equally important character to Rita. Her appearances seem more fluent to the story and her deeds have an immense impact on what would be the future of the world they live in. With her own hands, in a daemon form, she manages to kill the most important daemons enemies. With her own eyes, she sees a prophecy become real. 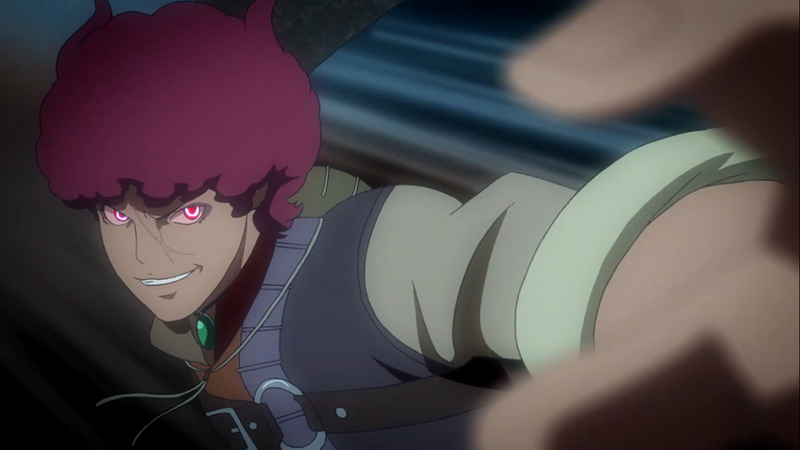 With time, we see how Favaro joins forces with the true daemons, how Amira becomes the root of all evil herself and how the formerly-knightly surname of Lidfard is yet again knighly. We also meet Amira’s so-called father and her real one, we come to know much about the maiden Jeanne d’Arc and how everything can be either good or evil, depending on how we look at it. 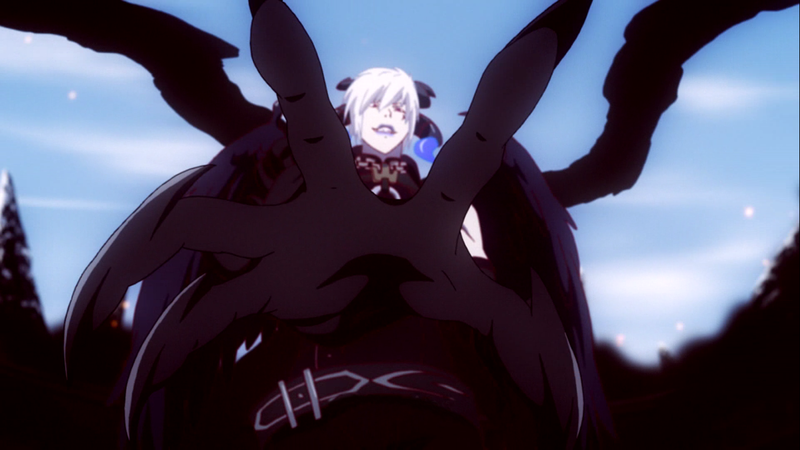 I would like to put a very strong emphasis on the animation and the graphics, the quality of the illustrations used, the character designs and the entire visual phenomena that I consider Shingeki no Bahamut: Genesis to be. A variety of styles is integrated into the story, giving a new life to old handmade drawing methods and classic anime visuals. The only problem I personally had with the animation were the occasional CGI shots, which didn’t add anything in particular to the visual bonanza, but only downgraded it. An interesting fact is that I came to watch the series because of the hype that was caused around the above video. 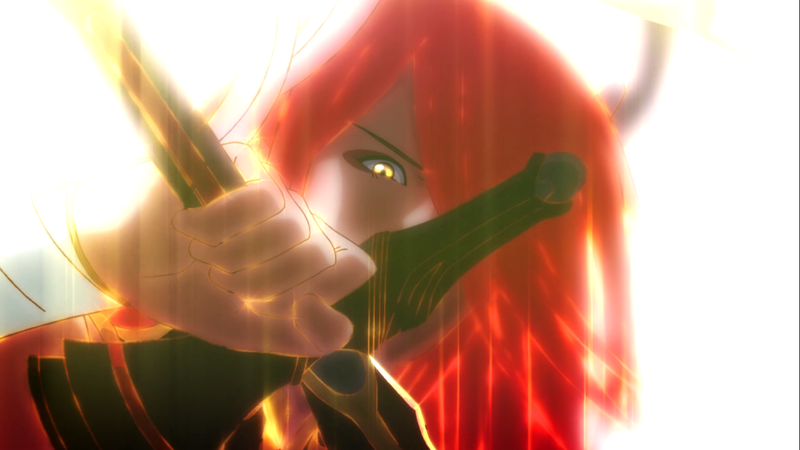 The ED animation and song were what all were talking about and how long has it been since such a thing has happened? I just had to try it, because of the visually rich images. I have to say that this show should have been at least 24-episodes long and would have been best if it were a 51-episode season. However, I am aware that it’s a risky situation, creating an anime based only on a card game and the budget was surely tight. With all this said, I would definitely recommend the show to those who like to see visually rich shows, fantasy lovers and those who would enjoy a good-looking comedy alike. Mikael dying by Jeanne’s hands. 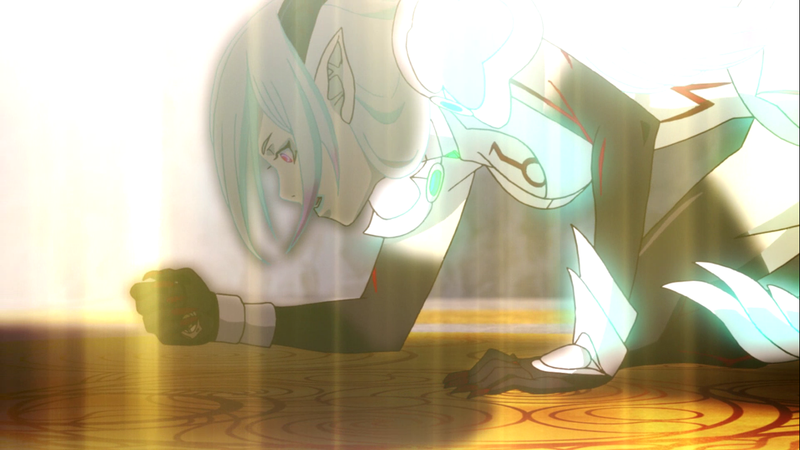 Amira in her daemon form, defeated because of a talisman. The underpants on top of the leggings are drawn by hand? Kudos for not employing CGI. For me, this was a great pleasant surprise. I absolitely agree with the review and wish they have given it more episodes. so pretty <3 thank you! I would suggest you watch it. (Sadly) It’s short anyway! Yeap, too bad it’s over.